Explosive vintage New Orleans rhythm and blues from the '50s and '60s with some classic soul music for punctuation. 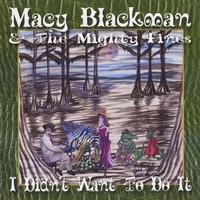 about the wonderful Mighty Fines by going to our web site, www.macyblackman.com. Happy listening!